Welcome to Human Resources at College of the Redwoods! Our office provides programs and support for full time faculty, associate faculty, administration, management, classified staff and temporary workers. The Human Resources staff is dedicated to supporting our employees by providing guidance and leadership. We handle any employment issues, questions about compliance to policies, regulations, collective bargaining agreements and the investigation of complaints. Current employees can learn about benefits, salaries, positions, organizational structure and more. Are you looking for employment? The Human Resources department handles all faculty, management and classified staff recruiting needs. 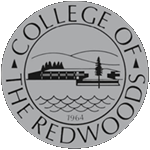 College of the Redwoods is dedicated to creating a working and academic environment which is welcoming to all and will foster diversity and promote excellence.